How to delete multiple Grade Center columns with one process. 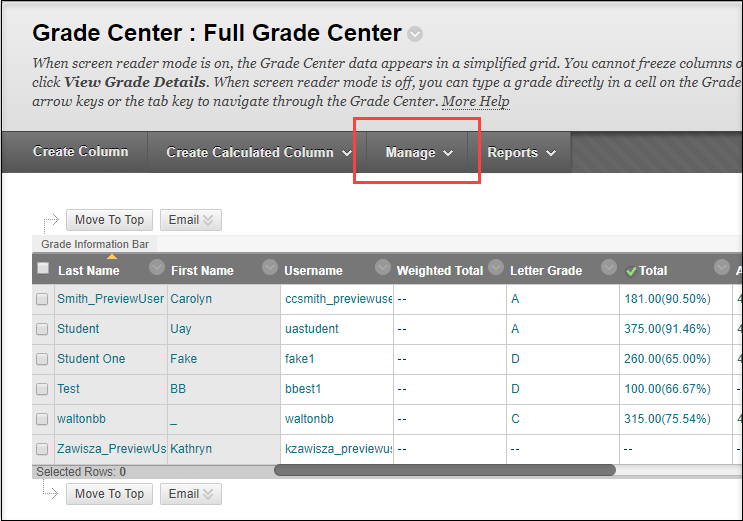 The Grade Center does not provide an option to delete multiple Grade Columns. Instead, columns must be deleted one at a time. 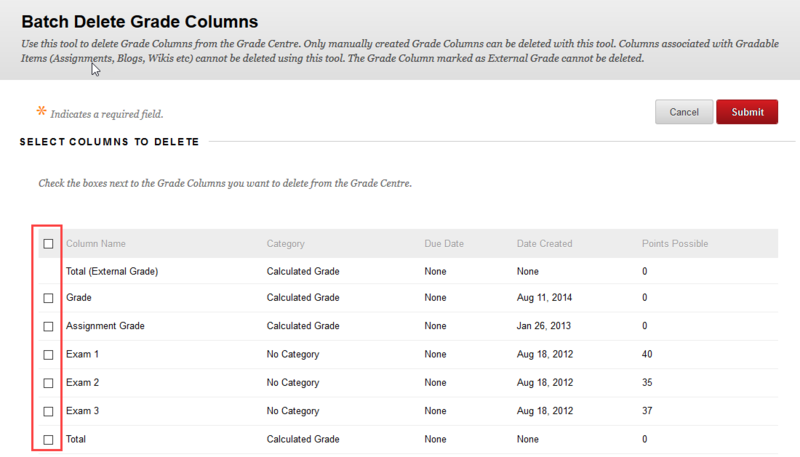 The “Batch Delete Grade Columns‟ tool enables you to quickly select and delete multiple Grade Columns. 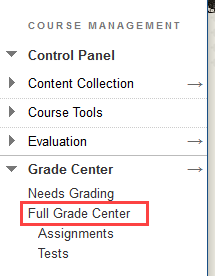 In your course, click Grade Center under Course Management in the left menu bar. Click the Manage button at the top of the screen. Select Batch Delete Grade Columns. Note: If this tool is not currently visible, you can go to Customization then Tool Availability and choose to make it Available. All of the Grade Columns in your Grade Center (which are not associated with a gradable item) are listed. Select the Grade Column(s) you want to delete by checking the boxes next to the column name(s). 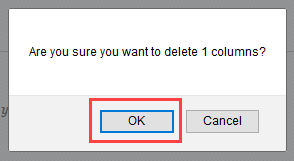 You will be asked to confirm that you want to delete the number of columns you have selected. Click OK to confirm or Cancel to return without deleting columns. Note: After clicking OK, your selected Grade Columns will be deleted. You will receive a notice informing you whether the columns have been deleted successfully or not.